Neils Christian Morthensen was born in Denmark in 1855. He undertook farming and learned cabinet making before emigrating to Australia in 1873. He arrived in Bowen and commenced cordial making serving two and a half years with a F. Meree. He purchased this business and continued it for about two years before moving to Mackay. He purchased the Aerated Water factory of Patrick McCluskey which was located in Peel Street. He introduced steam power to his works in 1882 and in 1884 increased the capacity to 14 horsepower. He also purchased a corn crushing machine and imported a complete plant for making ice by the ether process. He later expanded his works to include a saw-bench and circular saw for cutting firewood. In 1887 he commenced selling soap. 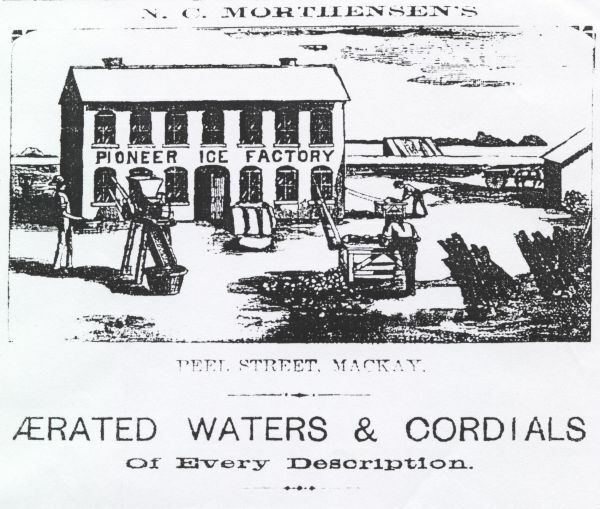 The business was called the Mackay Steam Aerated Water Manufactory and incorporated the Pioneer Ice Works. In 1888 and 1889 the Queensland Post Office Directory shows he established another Cordial factory in Walkerston however this must have been short-lived as he does not show up as being in Walkerston after 1889. He was elected an alderman to the Mackay Town Council in 1886. 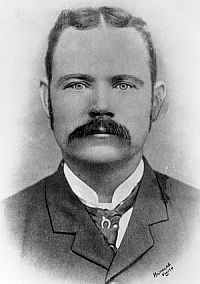 He served a one year term as Mayor of Mackay in 1893. He must have sold or leased the business to William Gorman as Gorman was managing the factory from about 1896 to 1901. Morthensen shows up again managing the business from 1901 to 1904. Morrison, W. Frederic, (1888). The Aldine History of Queensland Illustrated, Volume 2. Sydney, NSW: The Aldine Publishing Company. A broken example of a Morthensen bottle found on the banks of Sandy Creek in 2005. possibly a Lamont patent bottle.